I've been blogging for a few years now, and I've noticed funny differences between bloggers and... the rest of the world. Insist that they have made true online friends. Try to keep a straight face [and resist using air quotes] when we talk about said "friends." Dedicate significant time to blogging. Have little understanding as to why anyone would do it. Enjoy leaving comments and sharing friends's posts. Have no idea how to comment or share a post. Have [at least] basic knowledge of html code, social media, & web design. Codes, layout, reach = foreign geekery. Could tinker with their blogs all day long. Enjoy spending time out in the world. Alas, we bloggers are a unique breed. One which only those within the blogosphere can fully understand. Of course, with some of these I'm joking a bit, but I think you get the gist ;). 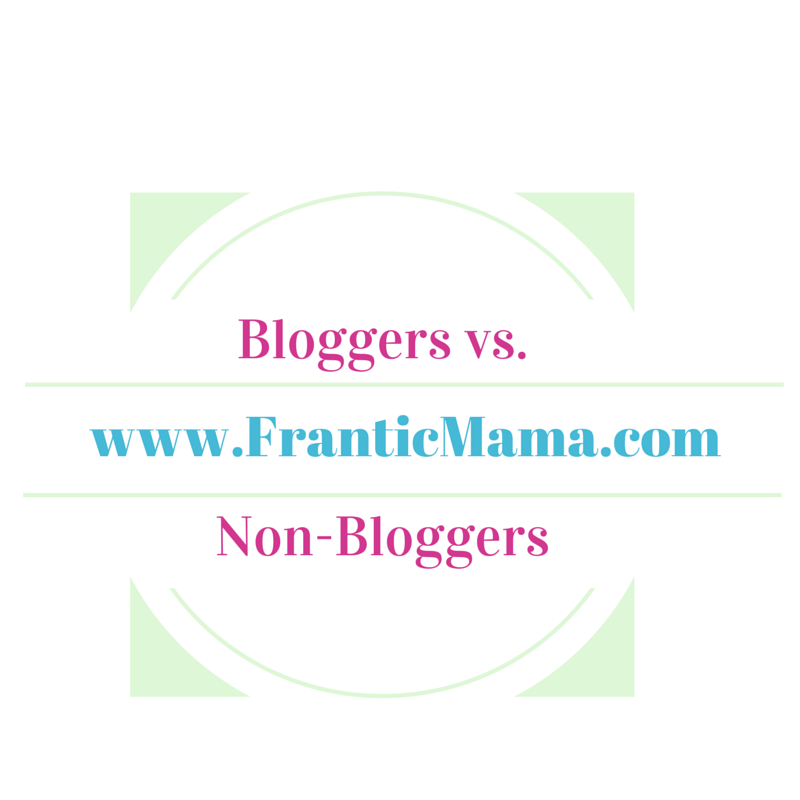 What differences have you encountered between bloggers and non-bloggers? Have any bloggers had funny reactions from non-bloggers when they talk about their blogs? Psssst! Like me on Facebook! P.S. If you have a minute, please check out my newest article on Mamalode! Oh, I pick tinkering on the blog over housework any day :). I swear that blogging has led me to neglect my house more than I ever would without it. But I'd rather have a cool record of my life with my kids (my blog) over a dust-free house in the long run! LOL! Also - Bloggers - Over the moon when a post gets reblogged, pinned more than once or twice, retweeted, etc. Non-bloggers - Um, what? True story. Did a #FP tweet for the first time (Friday Phrase, story in >140 characters) and it got retweeted by the FP account itself. I'm mostly proud of this because it was my first go at it. Totally awesome! I shared this with my hubby and some friends and they had no idea why it was cool. Pretty funny. Haha, yes! I'll be like, "my post got shared!" or "TWO people liked my FB page today!" and my husband tries to be excited for me, but I'm sure he doesn't really get the excitement I feel :). And congrats on getting the FP retweet-- I haven't heard of that program but I'll have to check it out! Love this! I would add to the "Bloggers" list- "check phone/email/fb/twitter obsessively as if compelled by the faulty belief that this maladaptive behavior can propel their latest post to go viral." Non-bloggers hear the word "viral" and hope they can avoid said virus. Haha, even the term "go viral" is probably unknown to many non-bloggers! :). I just though of another one-- computer/screen time withdrawl when on vacation!